We're all ready to roll our eyes at the ~extremely~ overused word "Omni-channel." But it's true. The cross-channel experience is precisely what financial services consumers demand. 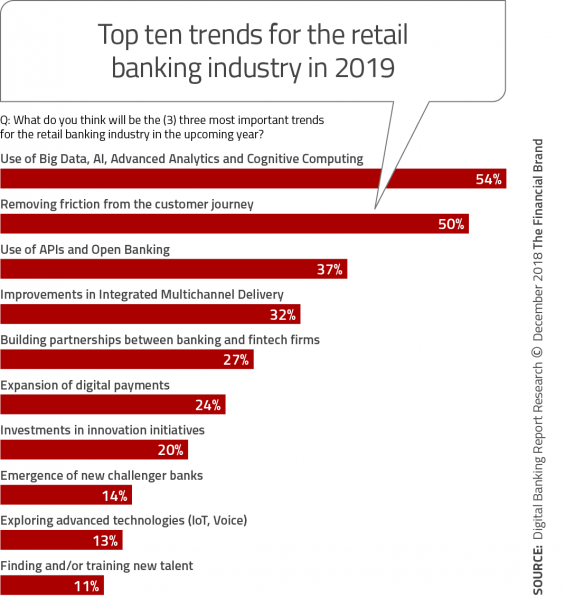 The Financial Brand’s 2019 Retail Banking Trends Report notes the top focus of most industry respondents is the use of Big Data. Closely followed by removing friction from the customer journey, use of APIs and open banking, and improvements in integrated multi-channel delivery. Not exactly a news flash nor a flash-in-the-pan strategy. A quick search will show you articles titled “2017 – The Year of the Seamless Integrated Banking Experience”. Or even this article from NCR focused on how to deliver Omni-channel banking. There is one big difference headed into 2019. Most banks and credit unions have already set the groundwork for making the cross-channel experience a reality. In fact, CSI's consumer survey reported 86% of respondents are happy with their financial institution's current digital offerings. Now the intent is to bring all of those digital channels together. Then mesh them with physical interactions - such as the branch and ATM - to generate an integrated, personalized account holder experience. Poll your account holders. What do they like? What improvements would they prefer? How do they view the branch? The ATM? Be prepared to receive some junk responses and suggestions. Overall, a poll can provide some insight into the thought processes of your audience. Analyze the data. How are account holders using your physical and digital offerings? Are there items generating large numbers of service tickets? Where are account holders getting frustrated? What are your most popular branches, ATM locations, applications, submissions, and/or pages? This information gives a better idea where there is need for improvement. It also tells us what areas are ready to connect with other channels. Start with the back-end. One of the first ways to capitalize on account holder data is to streamline access internally. Shared information empowers staff to provide more personalized and timely service to account holders. Not to mention allowing for more targeted marketing and sales messages. These three steps are only the beginning on the journey to a true Omni-channel experience. Expanding and improving requires a commitment to experimentation. But for an industry committed to reducing friction and using Big Data, the results will be rewarding for both the financial institution and their account holders. Now you can segment and create personalized messages for ATM users, too!